Happy Halloween to all from Riggins and Me! DogVacay sent out tips on how to keep your guest dogs safe and happy tonight during Halloween festivities. They don’t just work for “guest dogs” but for your dog as well! I realize we all know all of these things already but I know not to let a dog bolt when I open the back door and well … that happened. Doesn’t hurt to review! Be mindful of escape attempts! A constant stream of trick-or-treaters means constant opportunities for frightened or curious pets to bolt through an open door. Be sure that pets are kept clear of doors, windows, and gates and that they are never left unattended. To be safe, double check that your Guest pups are wearing their ID collars at all times. Consider using a baby gate to create a designated pup play area. This is a great way to ensure that both your pups and Guest pups stay clear of potential escape routes or gaining access to unknown trick-or-treaters. Dogs that are normally sensitive and good-natured may find the commotion of Halloween overwhelming. Watch for cues that pups in your care are getting anxious. If they exhibit signs of stress, offer them a Kong with peanut butter, a rawhide bone or a favorite toy to distract them. Frightened pets may try to flee, while playful and curious pets may try to chase trick-or-treaters. 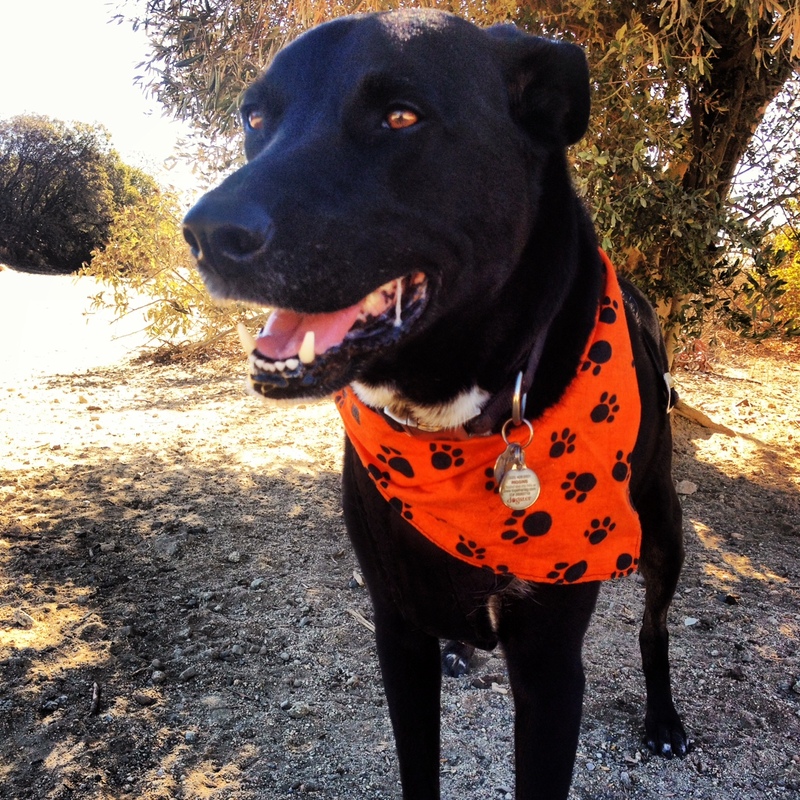 Please plan on keeping your Guest dogs on leash this Halloween to keep them out of traffic and out of trouble. Take your Guests out when you are unlikely to encounter trick-or-treaters for a nice, long walk. This will also help tire them out – remember, a tired pup is a happy pup!